Click the image to see the PDF will full details. 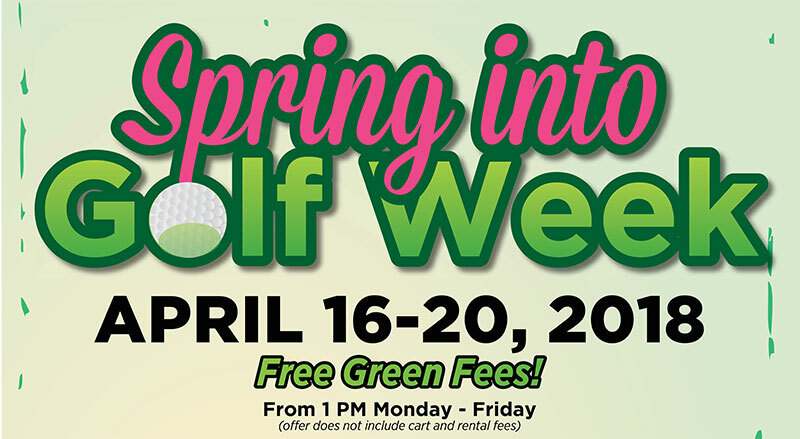 Free Green Fees Monday-Friday from 1pm (does not include cart and rental fees). Discounts on Play Card and Merchandise! Free Golf Clinic on Friday. Friday, come see demonstrations by representatives from PXG, Callaway, TaylorMade, PING and Titleist. Get Sam Adams Specials on Friday! Get your ticket for a chance at winning a FAT TIRE BIKE on Friday at 1700. Click the image above to see the full details.